While New York state evaluates a new utility regulatory structure to eliminate peak load forever, there are even more changes afoot downstate to shave electricity demand when necessary. Governor Andrew Cuomo announced that $285 million will be available in the form of rate incentives to decrease demand by up to 125 megawatts in New York City and Westchester, the county just to the north of the city, using combined heat and power systems. Greentech Media first reported on the Demand Reduction Program in February. The program offers considerably higher incentives for certain types of storage and other technologies. The initiative is run by New York State Energy Research and Development Authority and Consolidated Edison, and is part of a larger plan to increase the resiliency of the system. CHP systems also have the bonus of potentially being available during power outages, as some were in the days after Superstorm Sandy when many parts of the region were plunged into darkness. "We are looking forward to working with Con Edison in assisting large-scale energy consumers to find solutions to reduce their demand on the electric grid through energy efficiency and demand reduction measures, which also help decrease utility bills,” Richard Kauffman, chairman of energy and finance for New York and chairman of NYSERDA, said in a statement. The program includes $219 million for large-scale commercial and industrial energy efficiency and demand reduction projects and another $66 million for CHP systems at large commercial sites. The projects will need to be completed by June 1 and May 1, 2016, respectively. According to a press release, eligible projects for the efficiency side of the project include “cooling, refrigeration and ventilation; high-efficiency lighting; building management systems; demand response enablement technology; and datacenter and process efficiency improvements.” Peak shifting technology such as battery storage or thermal storage could also be a contender. For the CHP projects, companies can pick from ten pre-approved CHP vendors and the systems will be configured so that they can island from the grid in case of emergency. The city of New York is not sitting idly by while the governor and NYSERDA push the envelope on demand reduction programs. The city’s Department of Citywide Administrative Services has managed the municipality's demand response program for more than a decade through the New York Power Authority. The program procured about 21 megawatts across various city agencies, which were bid into New York ISO’s demand response program. Like many other cities, New York decided to refresh its demand response capabilities as payments have increased. Last year the city signed a five-year contract with a new energy services firm, NuEnergen, and targeted 50 megawatts across its agencies. Demand response prices have been rising in NYISO, as FERC’s Order 745 required New York and other grid operators to offer higher payments for demand response. Also, in a separate program, Consolidated Edison, the distribution utility in New York City, just doubled its demand response payments for this year. By refocusing on demand response, New York City has blown away its own expectations in the first year. “We were projecting up to 25 megawatts,” said Sergey Shabalin, manager of billing analytics, energy budget, supply and reporting for DCAS. Instead, the city now has 40 megawatts of capacity. To make it easier for agencies to participate, DCAS now handles the payments and program administration. “All of the complexity stays here,” said Susan Cohen, assistant commissioner for energy management at DCAS. Previously, each agency interfaced with the New York Power Authority directly. Another important factor for increased interest were the education efforts spearheaded by NuEnergen, so that agencies could better understand the opportunities available to take part in demand response. Each agency receives the payments that it generates, and unlike most of the other money that agencies have to work with, it’s revenue and not tax dollars. The result is that “this is a little entrepreneurial,” said Cohen. Energy managers are asking how the money can be used for energy efficiency projects. There is also a measure of flexibility, as the money does not have to be used within a specific fiscal period, as budget allocations often must be. All of the agencies that are signed up are enrolled in the NYISO demand response program, but there have also been more signups for Con Ed’s program, given its higher payments this year. There is also a clause in the contract for NuEnergen to install real-time metering using earned revenues for the agencies that want it. 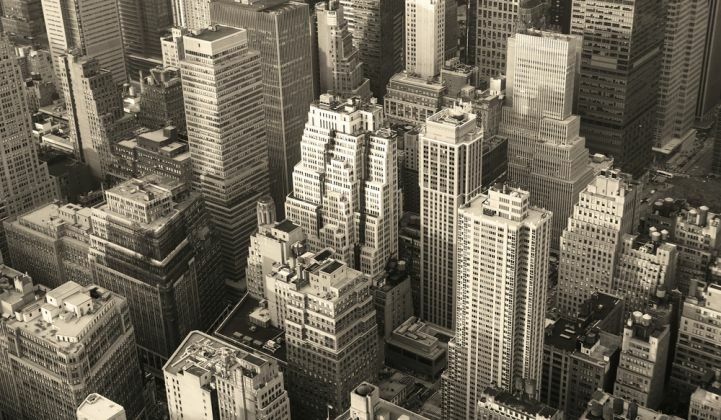 New York is already ahead of many other cities in that it offers an in-house energy management portal to all of its agencies, the largest of which have dedicated energy managers. But the data is only broken down on a monthly basis, rather than in real time. Real-time data will allow energy managers to identify more opportunities for savings, whether it’s improved operations that can cut energy use or identifying even more load that can be offered into demand response programs. “The agencies can’t wait for those meters,” said Shabalin.